This Compilation ℗ 2018 Interscope Records. Artwork © 2018 Orion Releasing LLC. All Rights Reserved. I've been excited for the release of this album and the wide release of the movie for a while now. This album is a mash of Xmas songs, musical theater, and pop music. 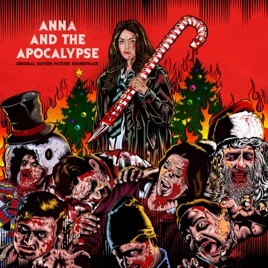 Exactly what one should hope for when listening to songs from a zombie Christmas musical. What's wonderful here is that the songs are all catchy in addition to serving to collectively build the story, as songs in a well done musical should be. My personal favorites are Turning My Life Around and Hollywood ending (as pop and musical theater). Christmas Means Nothing Without You and It's That Time of Year should be on the radio for the Christmas season. This is a Christmas album for any horror movie fan who enjoys holiday music. OMG THIS SOUNDTRACK IS DIGITAL FIRE! I’ve heard a lot of attempts of movie soundtracks desperately trying to find that artistic vibe......most fail......this one succeeded.....in fact succeeded is a gross understatement.....this is the best sound track I’ve heard since Repo Generic Opera. Good job everyone involved in making the music for this film. It makes you feel a certain way, even if you think zombies are absurd. I have to say I was very impressed with about 7-8 of the songs on this album and I’m fond of everything else (except maybe the fish wrap). I think it’s definitely worth purchasing the full album rather than just a few of the best songs because a lot of them a really good tunes, but nothing that’s going to top charts.